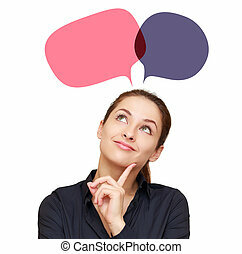 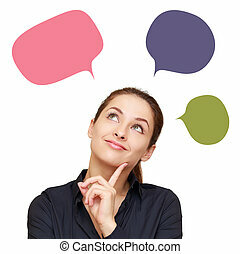 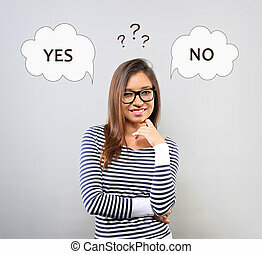 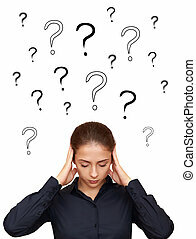 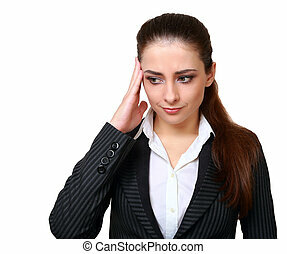 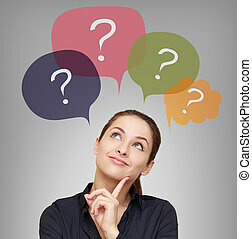 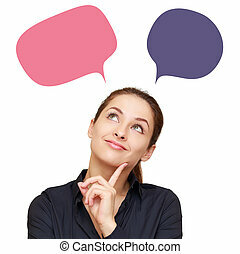 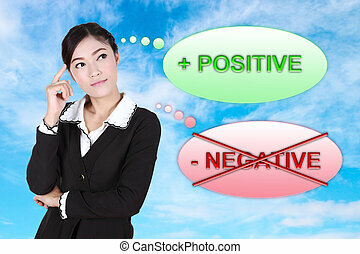 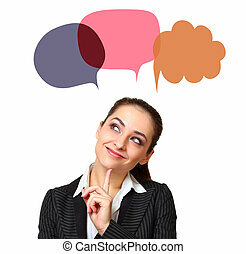 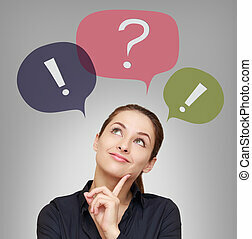 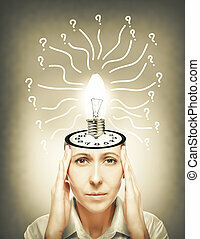 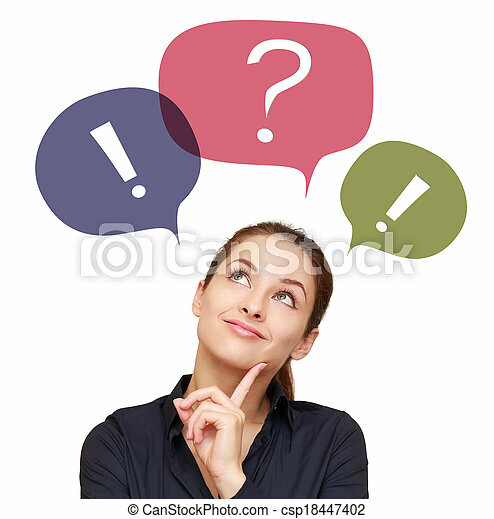 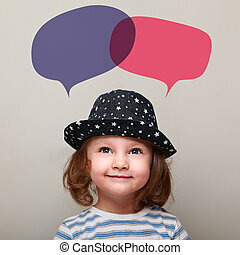 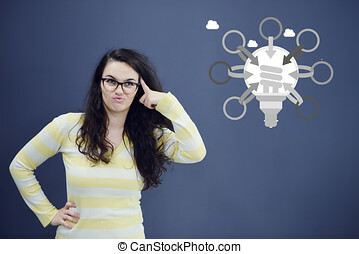 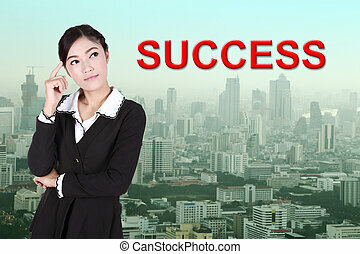 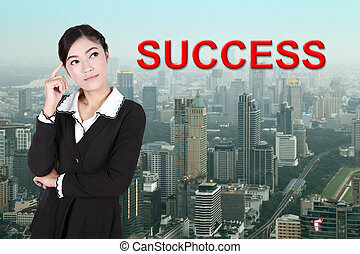 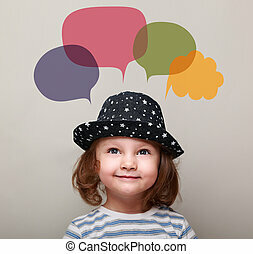 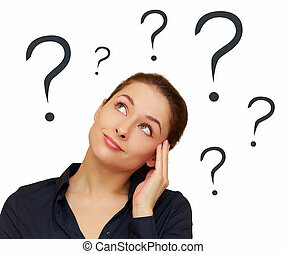 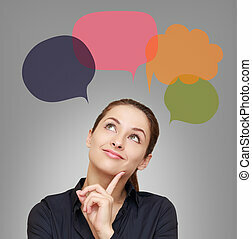 Business thinking woman with colorful chat bubbles above isolated on white background. 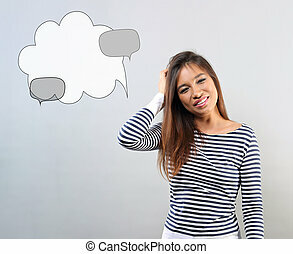 Woman with big brown eyes looking upwards thinking with blank thought bubbles above her head, isolated on white background. 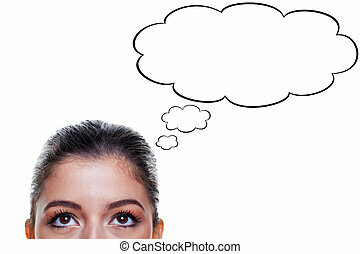 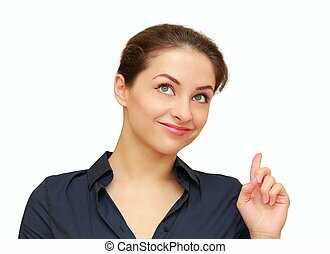 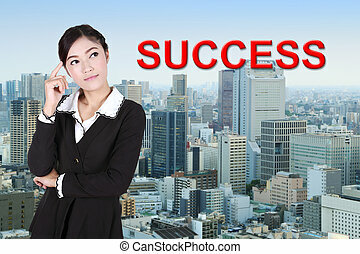 Business woman with pencil looks upwards (with thought bubbles above her head) Space for text, isolated on white background. 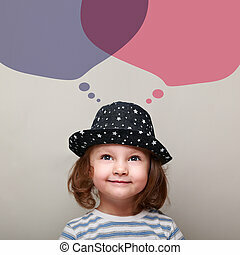 Brunette woman with big brown eyes looking upwards with thought bubbles above her head, isolated on white background. 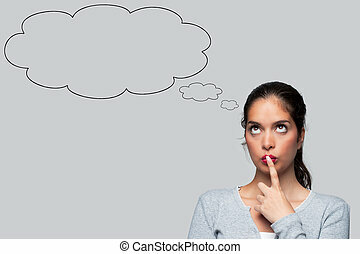 Thinking woman with idea in bubble above looking up isolated on white background. 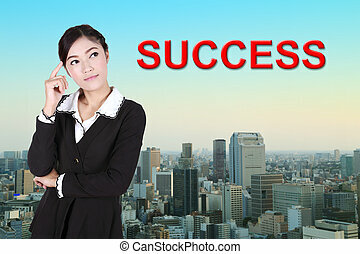 Happy thinking business latina woman touching, scratching the head and bubble clouds above with empty space for text on blue background. 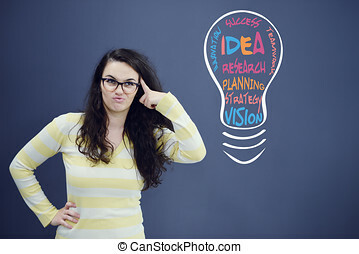 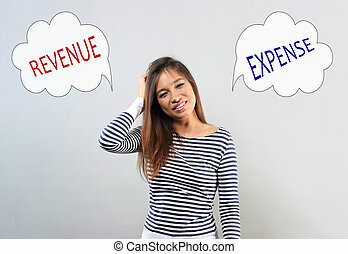 Happy thinking business latina woman touching, scratching the head and bubble cloud above with empty space for text on blue background. 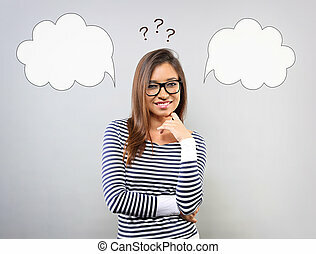 Happy thinking business latina woman in eyeglasses looking on illustration house in bubble cloud above with questions. 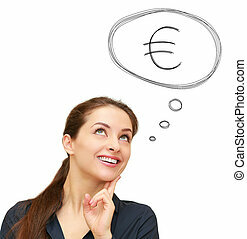 Insurance protection concept, investment to safety money.